This coming Sunday, Israel's Who's Who will be joined by the rich and famous from around the world at the Mann Auditorium in Tel Aviv to celebrate Shimon Peres's 80th birthday. UN Secretary-General Kofi Annan is scheduled to attend the festival, as is former US president Bill Clinton. Mikhail Gorbachev and Nelson Mandela are also set to be there. More than providing the public with yet another display of Peres's narcissism, the gala event will show the yawning gap between the world we occupy and the world occupied by Peres and his friends and supporters. In the world we live in, every promise of peace and a New Middle East has not only been broken, but has blown up in our faces. In the world we live in, the notion that it is either possible or desirable to negotiate a peace deal with the PLO has been rent asunder. But in the Land of Peres, it is reality, not Peres, that is wrong. It is reality that is doomed to be remembered in history as a failure. It is reality that is to be condemned as not merely inconvenient but as impossible to countenance. And so it is that 10 years after that first handshake on the lawn of the White House Rose Garden, Peres defends Yasser Arafat and condemns Israel. In a recent television interview with Fareed Zakaria on MSNBC, the erstwhile foreign minister held up Arafat as a paragon for combating Hamas in 1996, after 60 Israelis were blown to bits in eight days of carnage. When Zakaria asked him why Arafat stopped combating Hamas, Peres replied that it was the fault of his successor, Binyamin Netanyahu. Netanyahu, according to Peres, was to blame for Arafat not combating Hamas because Netanyahu was not forthcoming enough in negotiations with Peres's Nobel co-laureate. Never mind that Peres's entire claim that Arafat fought Hamas is a lie. Arafat, ahead of the 1996 general elections in Israel, rounded up, as he was wont to do, several hundred "usual suspects." Less than a week later, and before the elections had taken place, he had already released more than a hundred of them. At the same time, Muhammad Dahlan, then head of his Preventive Security Service in the Gaza Strip, was actively hiding Hamas terror chief Muhammad Deif, who had orchestrated the attacks. And Peres knew this. The upshot of all that Peres has told us for the past decade is that he cannot be held responsible for the consequences of his strategies. He must only be congratulated for the hope he bestowed on us all. And herein lays the entire problem not just with Peres but with all his honored guests and supporters. While some continue to blame Israel for the Palestinian war being fought against the state, others claim to be more "pragmatic." These people are willing to allow that Arafat is not a partner in peace, but still protest that Israel must move ahead with the non-existent peace process, "along the lines of the Camp David proposals." And so it is that former US Middle East mediator Dennis Ross came to write an op-ed in The Wall Street Journal this week protesting the government's decision to "remove" Arafat. Ross, who was the only Oslo pusher to acknowledge that Arafat would never cut a peace deal with Israel, explained that if Israel were to expel Arafat from its heartland, it would have to be in the context of large Israeli concessions to the Palestinians. Like Peres, Ross refuses to acknowledge reality. If Israel were to make concessions of any kind to the Palestinians as part of its move to expel, arrest, or kill Arafat, these concessions would only go to the unrepentant murderers who'd take his place. Surely Ross knows this. Surely Peres does, too. So the question must be asked. What is it that propels these urbane and cultivated men to such conclusions? The answer was given three weeks ago by no less of an authority than Ian Buruma, in no less a venue than The New York Times. There, in an article titled "How to talk about Israel," Buruma explained, "The Palestinian cause has become the universal litmus test of liberal credentials." And so it is. In the wreckage of Oslo it is important to note who its greatest beneficiaries were. The Israelis? Our lives have become a crapshoot. The Palestinians? Their standard of living was decimated by Arafat's kleptocracy, while their children were brainwashed by its jihadist media. No. The real beneficiaries of the Oslo process were people on the political Left like Peres and Ross and Annan and Clinton and their peace-activist friends. At Oslo, where Yasser Arafat and his PLO were crowned in glory and legitimacy, these men finally found a way to be pro-PLO and "pro-Israel." As long as Israel had a government that favored Arafat and Oslo, they could ignore the fact that Arafat's regime was among the greatest human-rights abusers in the world. They could, as the UN did this week, condemn every move that Israel takes to defend itself against aggression, never condemn the massacre of Israeli civilians, and still say they were friends of Israel because they believed in peace. They could equate Zionism with racism, as Mandela has, and pretend that they actually cared about the human rights of Jews because they support Oslo. They could keep their place on the liberal A-list without ever having to come to terms with the fact that what they claimed to be supporting and what they actually were advocating were mutually exclusive. But now that is over. Oslo is dead. The overwhelming majority of Israelis want Arafat to disappear and do not believe that peace can be achieved in the foreseeable future. The PA stands revealed as the terrorist regime it has been since its inception. Sides must be chosen. 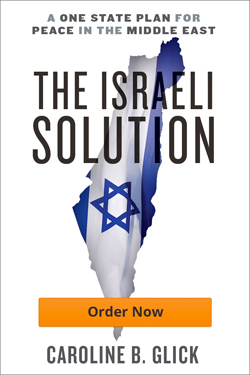 Some leftists, like Meron Benvenisti and Uri Avnery, have already done so. Benvenisti advocates the destruction of the Jewish state, and Avnery acts as a human shield for Arafat. In America, historian of Zionism Rabbi Arthur Hertzberg, like philanthropists Edgar Bronfman and Marvin Lender, has also chosen sides by appealing to President George W. Bush to put sanctions on Israel and to view Israel and the PA as equivalents. Thus do they remain acceptable to their liberal friends, rather than true to genuinely liberal values. Then again, at least they've "shown their cards" as Bush might say. Not so men like Peres and Ross, who continue to view reality as just another option, and choose self-delusion over the plain meaning of facts. No doubt many on the Left are emotionally, politically, and financially invested in the false assumptions of Oslo. And yet the time has come to cut their losses. If the values they espouse are more important to them than the company they keep, they will side with reality. If, on the other hand, hanging with the A-list is what really motivates them, at least they'll have a great party to go to. When it's Happy Hour in the Land of Delusion, the drinks are free.